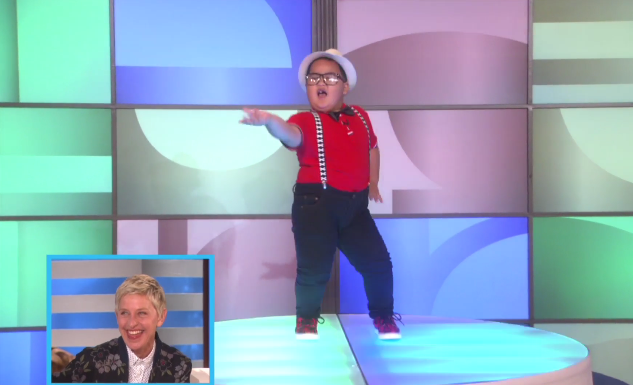 A Pinoy Kid,who pulled out all the moves as he danced and lip synced 'Bang Bang' in the viral video, finally met Ellen DeGeneres to showed off his dancing skills on The Ellen show. appear on the latter's show after his video garnered more than 11 million views on Facebook. And Balang's guesting on The Ellen Show finally happened. Moments after performance,Ellen suprised him with a lot of chocolates.